Did you know that Cheyenne, WY is only a 40 mile, traffic-free commute from Fort Collins and has lots of good job potential? Although we’d all love to live and work in the same town, it’s pretty common for people living in Fort Collins to look for a job in other cities on the front range. All too often, they forget to look at Cheyenne as a viable source simply because it’s in another state. From Fort Collins it’s actually only 40 miles of virtually empty interstate to Cheyenne versus an often congested 60 miles to Denver. It’s even shorter if you live on the northeast side of Fort Collins. 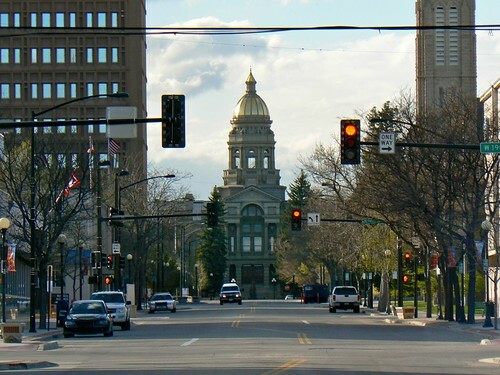 Cheyenne is the state capital and also home to a large sector of government jobs. Warren Air Force Base is the largest employer with about 4,200 civilian and military employees. The federal government employs over 3,000 civilians and the state government employees about the same number. In addition, Cheyenne’s economy is based on transportation, light manufacturing, and agriculture. The largest private sector employer is Union Pacific Railroad and employees 800. Some of the larger companies in Cheyenne include: United Medical Center, Union Pacific Railroad, Lowe’s Companies, Inc., Sierra Trading Post, Echo Star Communications, Frontier Refining, Wal-Mart, Little America, Hitching Post Inn, and Life Care Cheyenne. This entry was posted in BLOG, Local Info, Northern Colorado Real Estate, Resources and tagged Local Info, resources. Bookmark the permalink.